SPM believes that creating a serene environment blended with modern technologies heightens the spirit and energy level of all learners and inspires them to optimize their learning efforts. 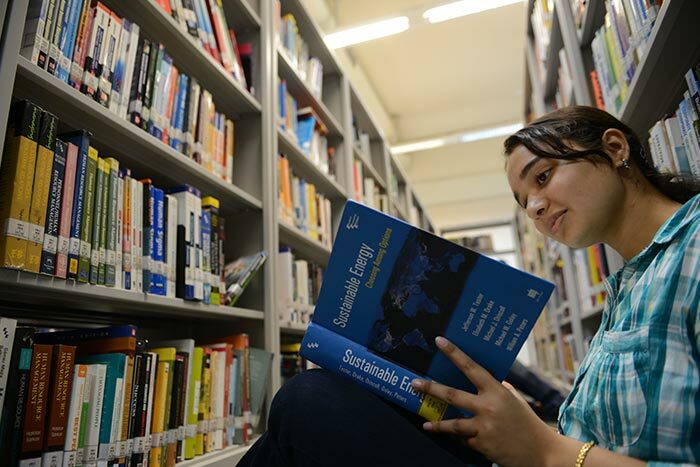 In this direction SPM provides the intellectual ambience in a stimulating campus. 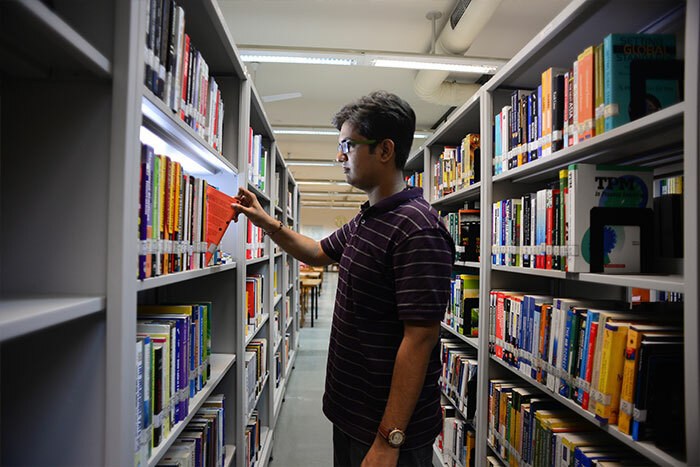 Library and Information Centre (LIC) is the heart of the Institute with an aim of providing production & dissemination of knowledge, information, insights & intellect. The centre has utilized Information Technology extensively to ensure that resources are accessible from anywhere at any time. Services such as OPAC for checking online availability and reserving online, bio-metric reader, remote access to e-resources and database make the LIC user friendly. LIC holds collection of printed as well electronic resources which include books, journals, databases, CDs/DVDs, e-journals, reports, case studies, conference proceedings, training manuals, etc. The on-campus, fully-furnished residential facility extends the flexibility of conducting all types of academic and extracurricular activities. There is a separate hostel facility for girls. A nutritious diet and a good workout helps students to combat academic stress. PDPU has set up a state of the art wellness centre which offers cardio & weight training equipment and helps students workout under the expert supervision of a certified trainer. The wellness centre can look after the needs of more than 50 students per session and is functional throughout the day. As part of its wellness initiative, the university also provides an open ground for outdoor games, such as football and cricket and practice courts for basketball, volleyball and badminton. Access into the Hostel areas is controlled 24 hours Securities. For Girls rooms and their privacy are been taken care of specially. Rooms in the residence halls vary in shape and size. All are well furnished; some furniture is movable and some furniture is built in. All of the rooms come fully furnished with beds, desks, chairs. Each residence hall is provided with ample lounges for kicking back, studying for the next exam, or just relaxing with each other. On ground floor of each hostel has television facility where students can watch it in their leisure time. Each room in all of our halls has two Ethernet ports connected to the campus network and the internet. Students need to bring their own computer of course. The laundry service is arranged at Hostel. Students can manage with their time schedule. They have to pay as per pricelists. University has its Wellness Center Facility available on charge basis. When living on campus you are more likely to visit these facilities during specified hours. We select a student to share a room with. Later on a student is been given one chance to select own roommate. 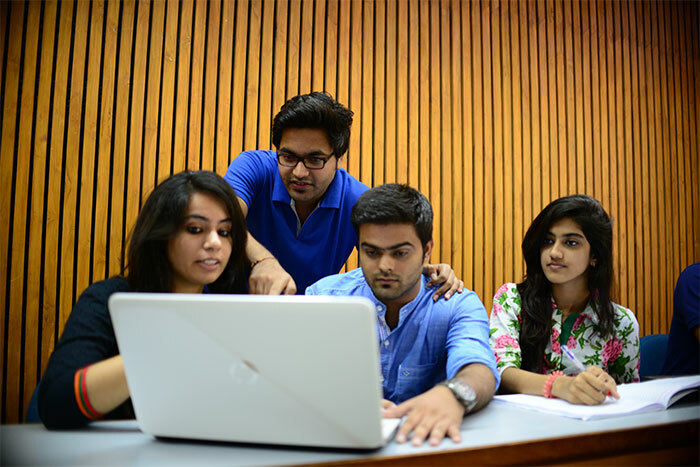 A student can choose roommate according to personal habits and preferences with similar interest. It is up to students to make contact and enter each others as their roommate preference.